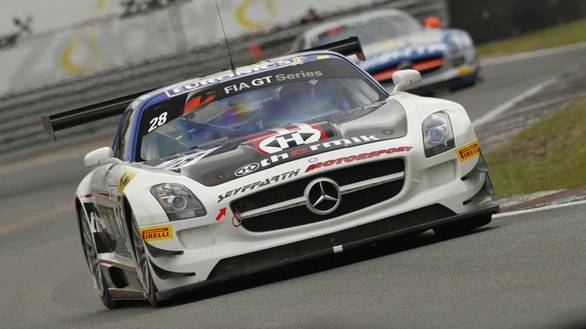 The 2013 FIA GT1 championship hasn't been the easiest for Armaan Ebrahim. This, because of the many races there are this season, Ebrahim is a stranger to all the tracks except one. The track he was familiar with was the Zolder circuit, where he couldn't race, unfortunately because his team-mate crashed during practice and put the team out of the entire race weekend. The round at Zandvoort, the Netherlands, proved to be an entirely different story. Armaan had a new team-mate in the form of Melroy Heemskerk, and the two of them managed to get on the pace right away for the BMW Sports Trophy Team India squad. And while the duo did well in practice, they weren't quite where they ought to have been during qualifying. Things got even worse when chaos at the start meant that the Safety Car was deployed and Heemskerk found himself slipping down the order. Electing to stay out as long as possible without pitting, the driver managed to make up some positions. When it was Armaan's turn to get behind the wheel, he put his head down and carved his way past the other runners. 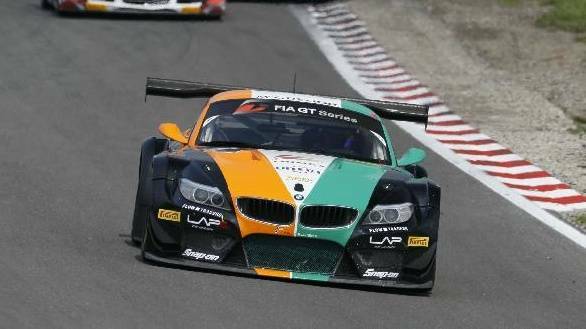 He made it to ninth overall, and took the BMW Z4 to second place in the Pro-Am class. Armaan started the second race ninth on the grid and despite the fact that the race was red-flagged, he managed to hold position at the restart. What he had to do at that juncture was something that required a good measure of racecraft - he had to keep behind him Sebastien Loeb in his McLaren MP4-12C. He managed to do this until it was time for his pitstop, and it was in the pitstop that everything came undone. There was a problem with the release mechanism of his seatbelt and Armaan was stuck in the seat for a while. Once he was out, getting Heemskerk buckled in took equally long. The car had slipped down the order while waiting in the pitlane, and they managed to finish tenth overall, and third in class. "It is quite disappointing to be honest, given what we were capable of this weekend. But I'm happy that after a difficult start to the season, we've managed to turn a corner", Armaan declared. He added, "We need to improve a bit on the pitstop front as well as sort out the straightline speed deficit. Next two tracks on the calendar  Slovakia Ring and Navarra are more straightline-dependent and we'll be at more of a disadvantage than we were here at Zandvoort", he said. The race at Slovakia Ring is on the 18th and 19th of August. 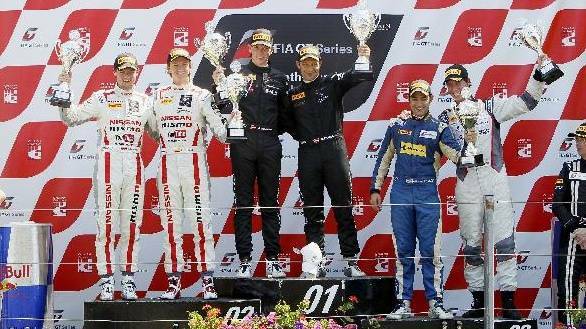 Karun Chandhok and the Seyffarth racing team had a tough race at Zandvoort. Chandhok and team-mate Jan Seyffarth had only managed to qualify 16th on the grid, which certainly wasn't where they wanted to be. Given where they qualified, though, they put in a strong drive and climbed to eighth place in the qualifying race. In the main race the next day Chandhok started eighth and moved up to sixth by the end of the first lap. When his stint was over, his team-mate Seyffarth took the car into fourth place and kept it there, finishing just off the podium. The Ordos International Circuit threw some challenges in Raj Bharath's way at Round 3 of the Formula Masters China series. While Raj had qualified third at the track, it wasn't easy at all. This was because mechanical issues surfaced during the qualifying session itself. Despite this, the 19-year-old managed to hold off the challenge from those behind him and finish third in Race 1. Things got worse in Race 2, and he wasn't able to hold on to third place, eventually ending the race sixth. The third race of the weekend was cancelled due to safety issues on the circuit, which meant that Raj didn't lose too much ground in the championship. "Honestly it was a relief that one race got postponed, so hopefully we'll get to the bottom of the issues and we'll be back to our usual competitiveness in Korea", concluded Raj. Round four of the Formula Masters Championship is scheduled at Inje Circuit from August 2-4. For Parth Ghorpade, the Round 4 of the Formula Renault 2.0 ALPS series at Monza was a race to forget. Parth finished in P8 in Free Practice 2, but wasn't able to put in a strong performance in qualifying, taking 10th place on the grid. During the race, Parth found that his good start was negated when the cars around him crashed at C1. This meant that he dropped all the way to 25th place at one point of the race, but clawed his way back to 17th after 8 laps, which is where he finished the race. In Race 2, he started from P20, and made up six places before going off at Parabolica at the end of Lap 1. This meant he dropped back to P28 behind the Safety Car. Parth fought his way up to P14 in seven racing laps. Of course, he's hoping that the next round at Misano on July 28 will be better. Good luck, Parth! 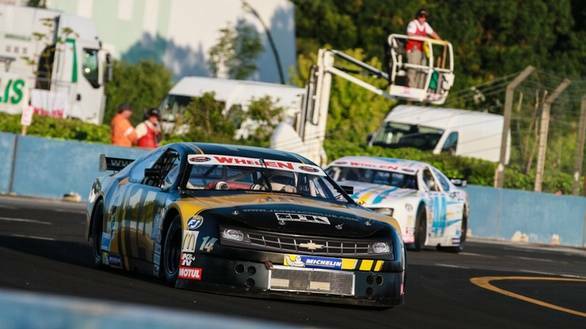 The Euro Racecar Series has been renamed the NASCAR Whelen Euro Series, and the first race of the renamed championship took place at the Tours Speedway in Central France. Given that it was Sailesh's first experience at an oval, the learning curve was steep. 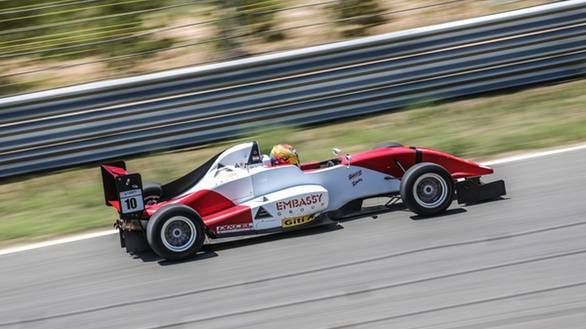 After qualifying 22nd in Race 1, Sailesh climbed to 12th place in the race, which is where he finished. Race 2 was where he hoped to do better, but things didn't work out that way. He was slammed into the wall at turn one, had to pit for extensive repairs to his car, and eventually finished 17th after fighting his way back from the back of the grid. Sailesh is hoping to do better at the next round of the championship at Aragon on September 1.